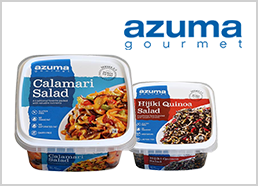 Ichiban Delight | BRAND Category | Azuma Foods International Inc., U.S.A.
Ichiban is the Japanese word for No.1. The Ichiban Delight® brand means “No.1 satisfaction for customer” for a daily meal. Ichiban Delight® offers a wide array of pre-made and easy-to-cook dishes. Our unique Ichiban Delight products help consumers to satisfy their desire for processed simplicity. These dishes are ready in minutes! Ichiban Delight® is great for use as an appetizer, hors-d'oeuvres, and any side dish. Ichiban Delight is always striving to exceed customer's demands.